“Shuffler.fm is a music discovery service designed to help users navigate the music shared by blogs in a visual way,” wrote TNW’s Martin Bryant late last year, just as it had launched on the iPad. It brought a Flipboard-esque browsing experience to those seeking to discover new music on their tablets. The Amsterdam-based startup began life as a Web app in early 2011, before hitting the omnipresent iPad in November. Now, Shuffler.fm now integrates with a range of music blogs and sites, letting you peruse content from multiple genres – you can tap on a specific style, and the most popular songs being shared by music blogs from a particular genre are unveiled. You can even watch each song’s video, where it’s available, and read more by loading up the original blog post directly within the app. We managed to get sneak peek of the app prior to launch and, based on our initial tinkerings, we were very impressed with this latest effort from Shuffler.fm. Essentially, it offers an easy way to trawl the myriad of music-centric blogs and websites, focusing on genre, trends or whatever else takes your fancy. It compiles the Web’s hottest, latest and most relevant tracks and video’s in magazine form. The log-in screen on the live version you’ll see today will look slightly different, given this is based on a test version. But alas, you’ll have the option to log in using your Facebook credentials or by setting up a specific Shuffler.fm account. Once in, you’ll have the option to peruse by Magazine, Profile, Trending, Genres and Blogs. You can head straight to the Magazine option, where you can scroll through the list of articles, and play the music accordingly. You can also set up an alert on an artist, so you can be notified of any new material that comes from their quarters. The same goes for blogs – you can follow a single blog or multiple blogs, and build a personalized magazine. Yup, this is definitely like Flipboard. You can choose to scan your content by blog, artist or friends. If you want them all, well, you click ‘All’. Alternatively, you can browse your Profile section for your Favorites, Blogs and Artists. It’s worth noting here that, given this is also (still) a Web and iPad app, you sync and centralize all your favorites when you log in to your account across platforms, including here on the iPhone app. In terms of what folk elsewhere are sharing and listening to, Trending lets you tap into the fastest rising tracks, charts and the latest songs featured. This is actually a really great way of discovering new music – you simply browse and play. If you like a song, favorite it. If you love it so much you want to tell your friends, you can share it across Twitter, Facebook and email. Or, you can subscribe to said artist to get all future updates. 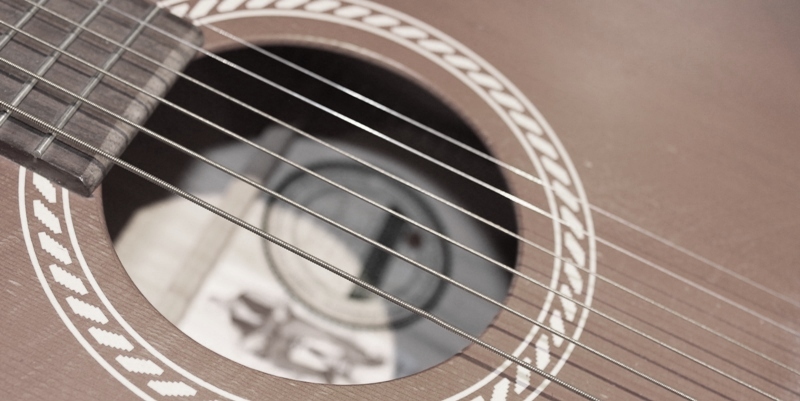 If you’re only into certain types of music, you can scroll by genre – from indie and electronic, to hip-hop and folk. Similarly, you can elect to just browse the (music) blogosphere, you may actually be surprised to see how many blogs there are that specialize in all kinds of music. I always kinda thought I had my finger on the pulse, but after seeing the selection here, I don’t. Shuffler.fm reels in some of the leading brands in music culture, such as Fader Magazine, NME and Rolling Stone, as well as blogs such as Pitchfork, Brooklyn Vegan, and Pretty Much Amazing. It also has niche sites like Dummy Mag, Dublab and Yours Truly. Yup, I hadn’t heard of these either. As with any app, the best way to get acquainted with Shuffler.fm is to have a play around with it. And if you love discovering new music, then you could do a lot worse than checking this one out. 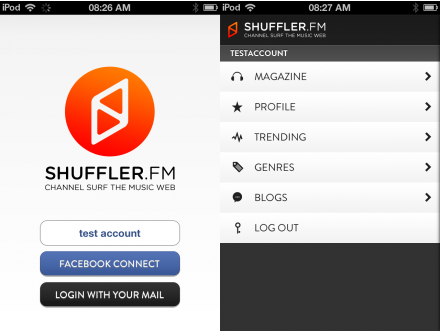 This is a crucial point – Shuffler.fm loads the original blog post directly within the app. It loads the content creator’s Web page, so there’s no content-stealing going on here. Finally – we’re told that a Spotify app could be coming out in the not-too-distant future, while an Android incarnation could be on the cards at some point too.